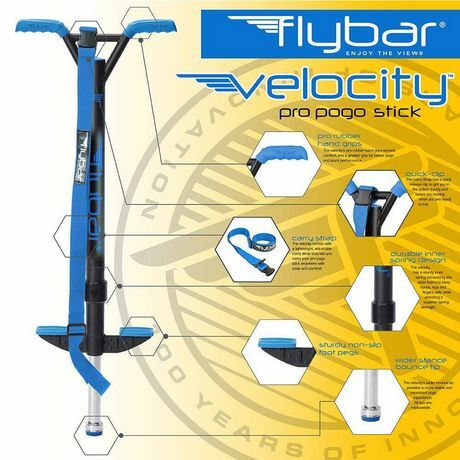 The Flybar Velocity Pogo stick loved and used by beginners to experts alike. 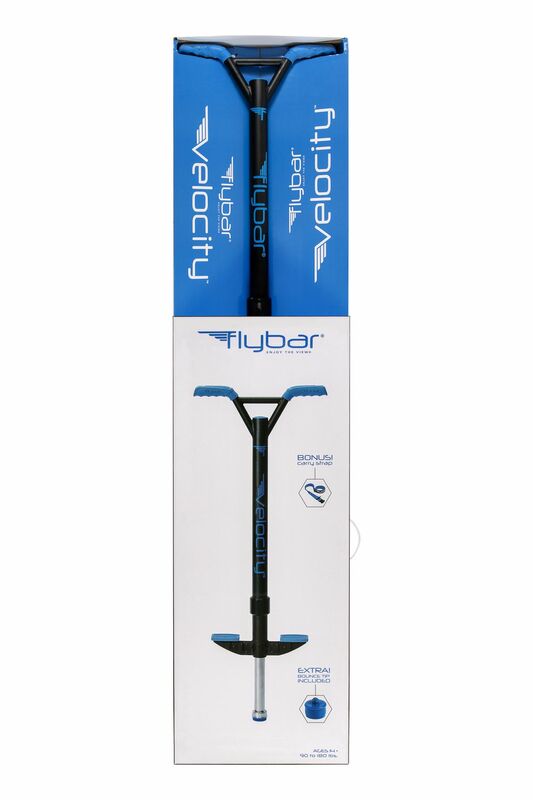 Velocity’s new bat-wing style handlebars provide strength and control both bouncing around and performing tricks. The Pro rubber hand grips provide comfort and greater control. Double inner spring encased in a steel frame keeps your hands, legs and feet safe while providing superior spring. 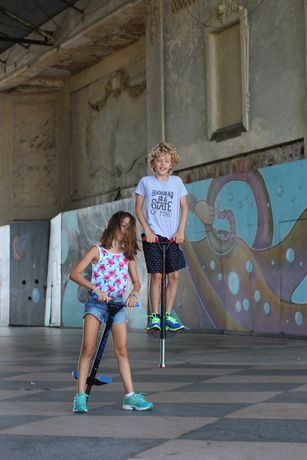 Our wide stance bounce tip and non-slip foot pegs provide you with a safer and more consistent pogo experience. All foot pads are replaceable. 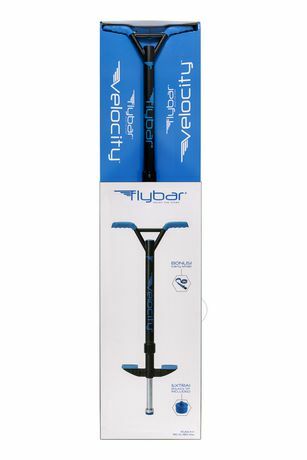 Every size Velocity comes with a convenient pogo stick carry strap. Perfect for when you are on the go. Strap the buckle on the handlebars and loop the other end around the shaft and you are ready to go. 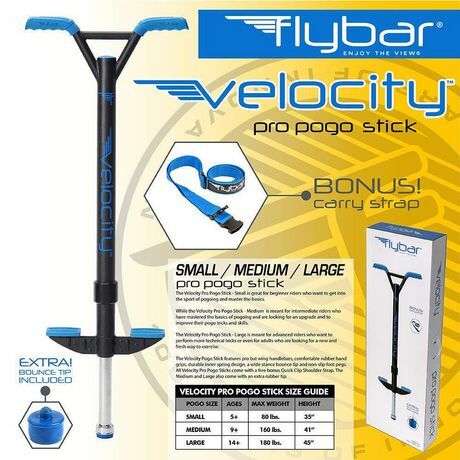 Small: Ages 5 +, Weight 40 – 80 lbs. Medium: Ages 9 +, Weight 80 – 160 lbs. Large: Ages 14 +, Weight 90 – 180 lbs.